JNTUA B.Pharmacy 1-2 Results 2018: JNTUA B.Pharmacy 1-2 Sem (R15) Regular/Supply Exam Results June 2018 are released at jntuaresults.azurewebsites.net. JNTU Ananthapur University has announced B.Pharmacy 1-2 Sem (R15) Regular/Supply Examination Results June 2018 are declared. Students can check their I year II sem B.Pharmacy result from links given below. 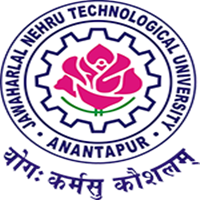 Visit the JNTU Ananthapur Official Website jntuaresults.azurewebsites.net or click on above links. Enter your roll number and complete captcha verification. Click on Submit button an get your results. thats it and take print out marks list for further use. When did jntua print the 3-2 supply Dec 2017 marklist.